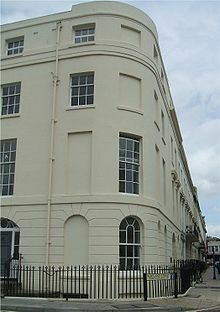 Introduced in 1696 and repealed in 1851, the window tax was basically a property tax. It consisted of two parts: a flat rate per house (2 shillings) and then a taxed rate for every window above ten windows in a dwelling. The number of taxable windows was changed to seven in 1766. It was then changed to a variable amount depending on the property's value in 1778. This is why some houses in Britain have windows blocked up. Introduced in 1712. Patterned or printed wallpaper was taxed at 1 penny per square yard, but then raised to one shilling by 1809. People got around this by buying plain wallpaper, then painting the paper. Abolished in 1836. Tax on men's hats from 1784 to 1811. The theory behind this was that wealthy men bought more hats than poorer men, as well as more expensive hats. The law required hat sellers to buy a license and stamp each hat. Read more about this tax here. For whatever reason, eighteenth century people liked to wear wigs and then powder them, usually white. So Parliament passed a law stating that, from May 5, 1795, anyone wishing to use hair powder had to apply for an annual certificate, costing one guinea. Exemptions to this tax included the Royal Family, certain military officers, poor clergymen (if they made less than one hundred pounds per year, they were exempted), fathers with two or more unmarried daughters. A master could take out a certificate for his servants, though the servants had to pay the tax. By the time hair powder was taxed, though, it was no longer fashionable--men simply cut their hair short and women took to curling their real hair. Repealed in 1869. You can read more about wigs and hair powdering here. Introduced in 1709, the candle tax was raised to pay for the War of Spanish Succession. This was a tax on the manufacture of candles; people were not allowed to make candles at home, but had to buy them. For wax candles, the rate was 4 pennies per pound. For tallow, they were a half penny per pound. The tax doubled in 1711, before Pitt lowered the rate on wax candles and raised the rate on tallow candles. Read all about this tax here. In 1777, in order to pay for the American Revolution, Parliament passed this into law. 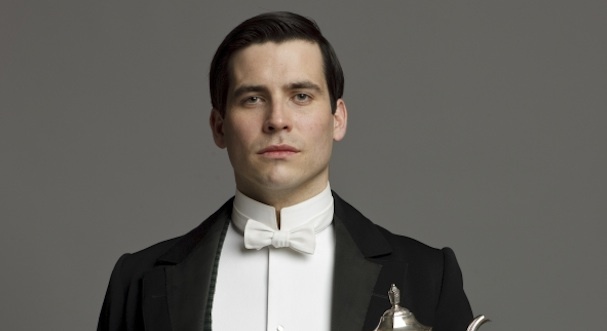 Men servants who performed "non-essential luxuries" were taxed, including butlers, valets, grooms, gardeners, cooks, etc. A male servant of an innkeeper or a merchant or shopkeepers were considered essential and were not taxed. This was meant to hit at the aristocracy, who often hired male servants like footmen as a status symbol. As Britain became more involved in the Napoleonic Wars, the servant tax rate was increased. However, the tax was never popular and evading this by fudging your servant's duties was very common. It was not fully repealed until 1889. How much tax would you pay for Thomas? From 1785, female servants were taxed as well, but the tax on female servants, who were increasingly becoming the preferred (and cheaper) servant of the middle classes, was repealed in 1792. Here's a more in depth article about the servant tax. In Britain, the stamp tax was not only a tax on stamps, but on paper, playing cards, newspapers, lottery tickets, pamphlets, dice, legal documents, etc. It was introduced in Britain in 1694 and continued on in some form 'til today. The Stamp Act of 1765 pissed off the American colonies because Parliament passed it (in order to pay for the French and Indian War), but the American colonies were not represented in Parliament. This particular act was repealed in 1766, after the unanticipated level of protests in America, but stamp duty continued for the British. From 1712, the British had to pay one penny a pound for soap manufactured in Great Britain and two pennies the pound for imported soap. Soap makers had to report and register; people were prohibited from making soap at home. Soap tax wasn't repealed until 1853, though it was still bringing in a lot of money. Smelly, huh? I like the window tax. That's funny. Prohibited from making your own soap and candles? Boo! Lol! That's kind of ridiculous. Hair powder tax is my favorite. Lol!